We will show our Mingus Quintet as well as Jorma Design cables. We will aslo premiere our Supreme Sessions on vinyl as well as MSB electronics, Analog Domain, Gigawatt, Whest Audio and NAT. Please come and have a listen! 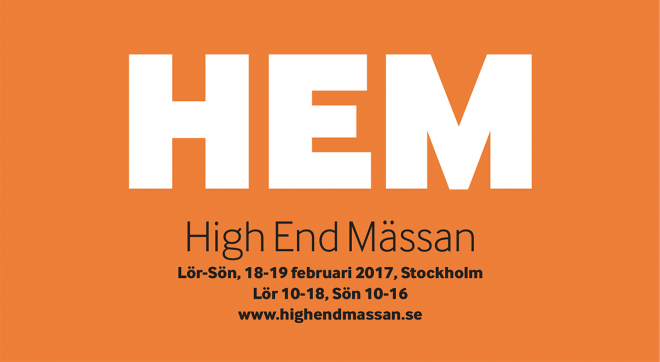 We will be in the Gripsholm A room at Sheraton Stockholm, 18 – 19 February. Very high score received for our own recording, Supreme Sessions 2 from Ken Kessler at HiFiNews.co.uk. Supreme Sessions 2 Marten Recordings (no catalogue number) A gold sticker on the sleeve says it all: ‘A true audiophile recording! Ballads, Jazz and Classical Music, recorded live in studio with two mics only!’ Ordinarily, this would have be heading for the hills, but it comes from the Swedish speaker company, Marten, and what they’ve assembled is a terrific demo disc – not something you would sit and listen to for pleasure, but a treat for showing off your system. Especially useful are tracks like the percussive ‘Dance, Drums, Dance’, sort of like Kodo via Stockholm, ‘Rosetta’ with its ragtime brass and even some banjo, plenty of Bela Bart6k for those so inclined and even a couple from the Great American Songbook.